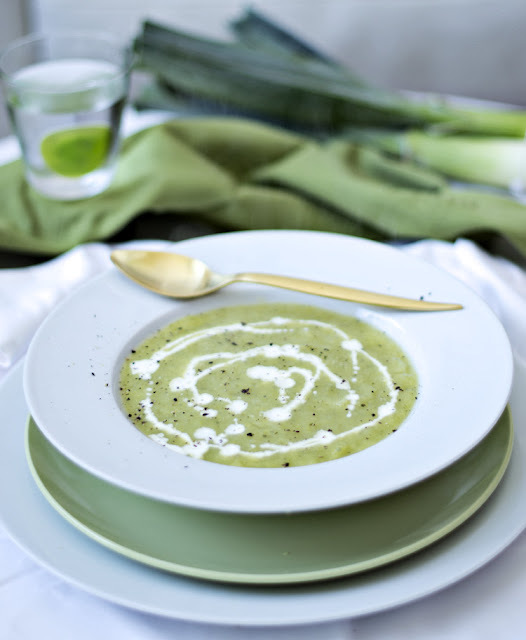 I am going to start by the end; as my students of 4th grade say, "Fran, you always end up talking about food" Here you are our recipe for Cawl Cennin (leek soup). Of course, it comes from our favourite Cat. Hope you like it! It's rather healthy! Britain, Great Britain, the UK... a kind of mess for my 1ESO students. 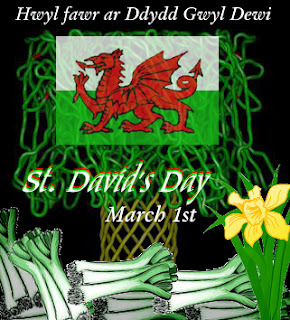 Today is St David's, Wales National Day. 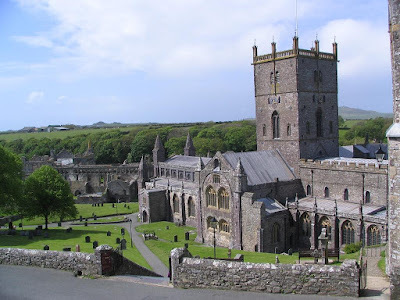 Dewi Sant - St David was born towards the end of the fifth century. Family: he was the son of Sant a heir of the royal house of Ceredigion, his mother was Non, daughter of Cynyr of Caio, remembered by numerous churches and holy wells in Wales, Cornwall and Brittany. Education: at Henfynyw (Old Menevia) in Ceredigion; he founded a Celtic monastic community at Glyn Rhosin (The Vale of Roses) on the western headland of Sir Benfro, where St David's Cathedral stands today. St. Patrick: The spot may well have been the site of a very early religious community, for it is also associated with St Patrick, , who, having been born in South Wales, is said to have spent some time at Glyn Rhosyn before embarking for Ireland. Fame: David's fame as a teacher and ascetic spread throughout the Celtic world. He earned the curious nickname Dewi Ddyfrwr - David the Waterman - no doubt reflecting the harsh bread-and-water regime of Celtic monks. Traditions and legends: when he rose to address to a great crowd at a synod at Llanddewi Brefi in Ceredigion, the ground rose under his feet forming a little hill so that all could hear him speak. Again, a golden-beaked dove is said to have landed on his shoulder as a symbol of his holiness. Influence: his foundation at Glyn Rhosyn became one of the most important shrines of the Christian world, and the most important centre in Wales. Roads and tracks from all over the nation led to it and in the Middle Ages two pilgrimages to Menevia was equal to one to Rome. Over fifty churches and innumerable holy wells were dedicated to him in Wales alone. Symbol: the religious centre of St Davids thus became a focus for the religious aspirations of the Welsh nation and as Gerallt Cymro (Giraldus Cambrensis) relates: 'The Bishopric of St David's became .....a symbol of the independence of Wales...and that is why David himself was exalted into a Patron Saint of Wales.' St David's has for more than a millennium been the spiritual heart of our nation and the focus of its ideals. 1.In which century did David live? 2.Why is the first of March celebrated as St. David's Day? 4.To whom was David's mother alleged to be related? 6.In addition to being an excellent student, David is said to have cured one of his teachers of? a. lameness. b. leprosy. c. blindness. d. plague. 9.Which craft was remembered as being particularly important at the monastery he founded at Glyn Rhosyn? 10.What was David's favorite beverage? 11.There are several items served at a typical luncheon in his honor (baked chicken, roast beef, roast lamb, potatoes, salad, green beans, cake, pie, Welsh cakes, coffee, tea, etc.) that David would not have eaten. Choose one and why would he not have eaten this? a. walk long distances while reciting psalms. b. swim long distances early in the morning. c. do heavy manual labor in the monastery gardens. d. stand in neck-deep water while reciting Scripture. 13.In what century was David canonized? 14.St. 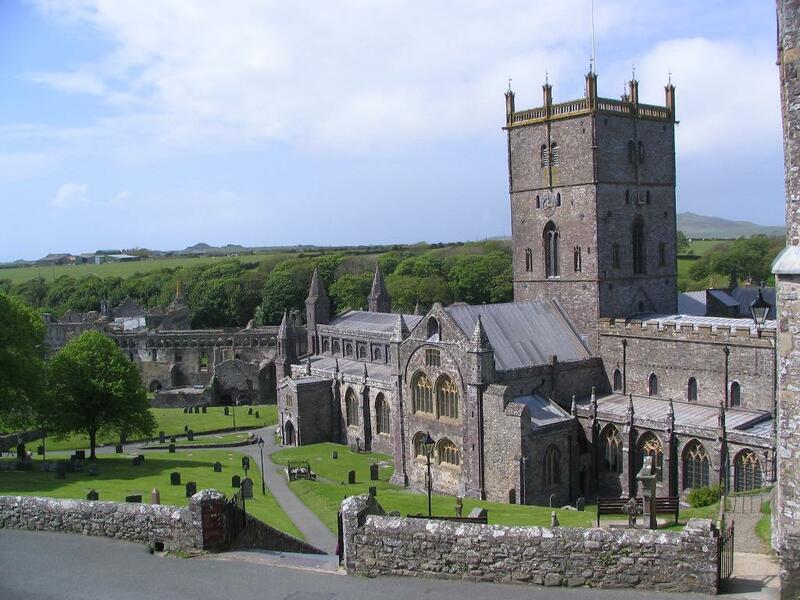 David was so revered that how many pilgrimages to St. David's in Pembrokeshire were considered equivalent to a pilgrimage to Rome? a. "Be kind to animals" b. "Do unto others as you would have them do unto you"
16.In typical statues of St. David, another creature is usually included. What is it? 17.In which region of Wales are the majority of churches dedicated to St. David located? 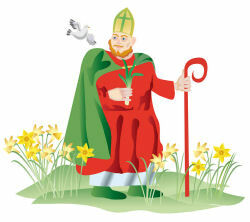 18.Which two Welsh symbols are traditionally associated with St. David's Day? Can you answer at least half of the questions above and post them as a comment or bring them over the next lesson? For a full list of events, just click on Cardiff's webpage. "Os y chi'n caru Cymru, dylech chi fod yna!" "If you love Wales, you should be there! For a blog as in English, I did not make you Andujar, near Priego. A nice gesture yours by participating in this initiative dedicated to Jontxu and our best wishes to him and his family ..
You also you have carefully worked ..